With the passage of the Pittman Act in 1918, Congress authorized melting 350 million Morgan Silver Dollars and sold the silver at prices above the market rate. The influx in cash not only helped support the war effort during World War I; it was also used as a federal subsidy to America’s silver mining industry. After the “War to End All Wars” ended, however, the government found itself sitting on mountains of silver and something had to be done with it. Under the terms of the Pittman Act, the United States Mint was also required to purchase domestic silver for re-coinage of a like number of dollars. 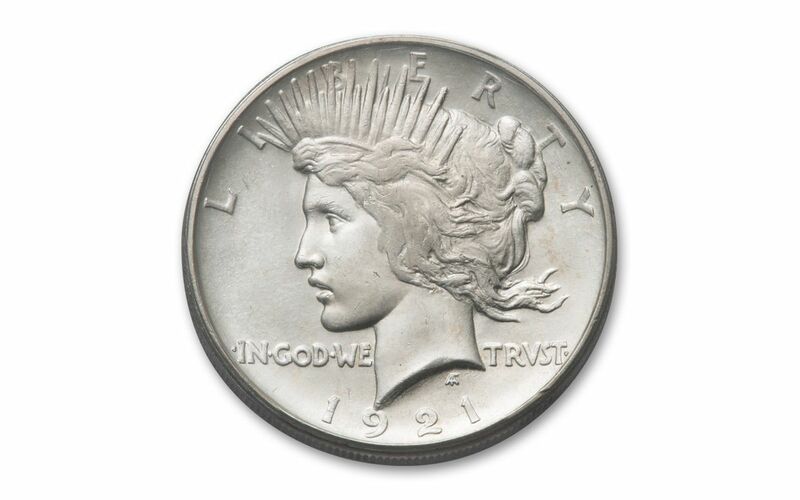 So, in 1921, the Mint designed a new silver dollar – the “Peace” Dollar. 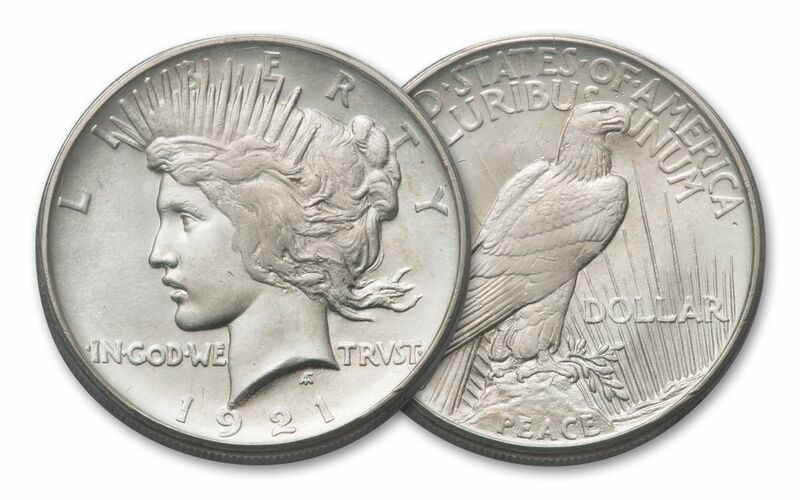 HIGHLY SOUGHT-AFTER FIRST YEAR REGULAR-ISSUE PEACE DOLLAR – “Firsts” are always important and the 1921 Peace Silver Dollar perfectly fits the bill. Struck as a one-year high-relief issue, no other Peace Dollars that followed it featured the same exceptionally deep and boldly-struck design. It was designed by Italian-American sculptor Anthony de Francisci, who based his design of Lady Liberty on his wife, Teresa. STRUCK IN FINE AMERICAN SILVER – This 1921 High Relief Peace Silver Dollar was struck in 26.73 grams of 90% silver at the Philadelphia Mint. LEGAL TENDER U.S. COINAGE – The 1921 High Relief Peace Silver Dollar is $1 legal tender and THE silver dollar of the Roaring ’20s! 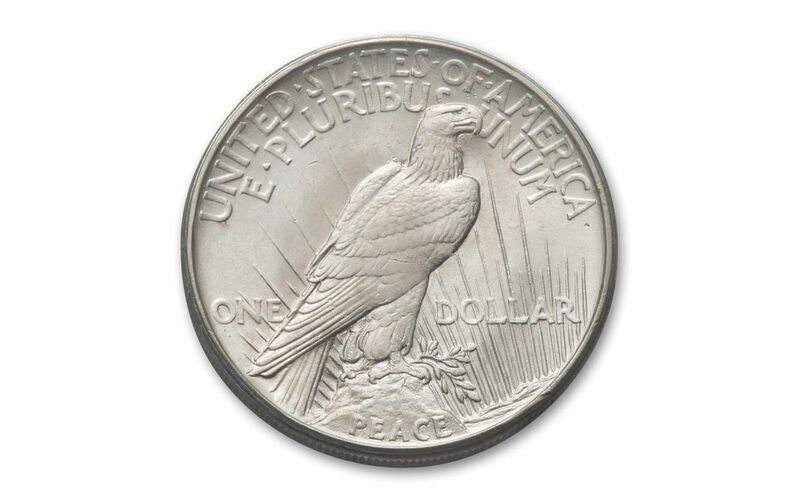 BRILLIANT UNCIRCULATED CONDITION – Your 1921 High Relief Peace Silver Dollar comes in gleaming Brilliant Uncirculated (BU) condition, as fresh and crisp as the day it left the mint nearly a century ago! SCARCE AMERICAN TREASURE – Compared to the overall mintage of Peace Dollars, the first-year 1921 High Relief issue is relatively scarce. Struck from 1921-1928 and again in 1934 and 1935, more than 111 million Peace Dollars were struck, of that total, barely more than a million were struck in high relief at the Philadelphia Mint in 1921 – less than 1% of the entire mintage of Peace Dollars ever struck! The 1921-P High Relief Peace Dollars are rare and important pieces of United States history. Get your piece of one of America’s most sought-after coin treasures now while our limited supply lasts.